Susana La Porta Drago joined the firm in 1992. She has been a design team leader and a project manager for office towers, residential, commercial and institutional buildings and master plans. 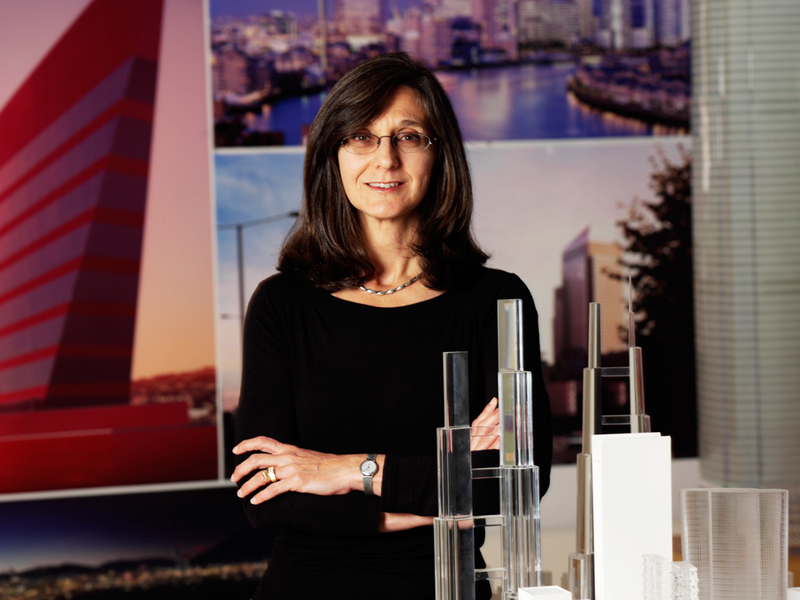 Ms. La Porta Drago’s current work includes a new mixed-use tower in San Francisco adjacent to the Pelli Clarke Pelli Architects-designed Salesforce Transit Center, and an international airport in Tucumán, Argentina. She had a leading role on several office towers in Buenos Aires: Edificio República, a 20-story multi-tenant office tower; Torre BankBoston, a 29-story bank headquarters; Torre YPF a 37-story energy company headquarters; and Torre Macro, a 28-story bank headquarters. She also worked on Maral Explanada, a residential development in Mar del Plata, Argentina and Torre Sevilla, a mixed-use development in Seville, Spain. Her master plan experience includes Abandoibarra, the 30-hectare riverfront area that includes the Guggenheim Museum in Bilbao, Spain; Tucuman Civic Center, a 17-hectare governmental campus in Tucuman, Argentina; Ciudad Agrícola, a 4-hectare office campus in Buenos Aires, Argentina; Universidad Siglo 21, a 160-hectare university campus in Córdoba, Argentina; and Universidad del Norte Santo Tomás de Aquino, a 36-hectare university campus in Tucumán, Argentina. Ms. La Porta Drago also collaborated on the design and management of several projects. These include a new office tower for Mitsui Fudosan in Tokyo; Yinji Plaza, a mixed-use development in Zhengzhou, China; Star Harbor International Center, a mixed-use development in Shanghai, China; Torre Iberdrola, an office tower in Bilbao, Spain; Torre Costanera, an office tower in Santiago, Chile; Centro Municipal de Distrito Sudoeste, a municipal office complex and community center in Rosario, Argentina; 1900 K Street, an office building in Washington, D.C.; and the Cole Eye Institute at the Cleveland Clinic in Cleveland, Ohio. Ms. La Porta Drago received a Master of Architecture from Cornell University and a Bachelor of Architecture from the University of Buenos Aires. Ms. La Porta Drago was a Teaching Assistant while a graduate student at Cornell, and, since graduation, she has been a volunteer for AAP Cornell—Cornell School of Architecture Art and Planning—and a member of the Cornell Latino Alumni Association.